Univision will be ringing in the new year with “¡Feliz 2018!,” a coast to coast event that will be headlined by international superstar Pitbull, who will be performing live throughout the evening from his hometown of Miami. The party will kick off at 9 p.m. EST and will hop around the country for other musical performances in New York, San Antonio, Las Vegas and the Disney California Adventure park in Anaheim. Aside from Pitbull, musical guests will also include Chyno, Banda El Recodo, Bronco, Ha*Ash, Karol G, Bad Bunny, Leslie Grace, Luis Coronel, Chiquis, Mau and Ricky, Olga Tañón, Carlos Vives and Sebastián Yatra. “¡Feliz 2018!” will, of course, be broadcast on Univision via traditional television providers, as well as Univision’s streaming service, Univision NOW, which is available online and via smart devices. Univision NOW does not require a cable subscription, but is instead a way for users to subscribe directly to Univision for $7.99 a month. A 7-day free trial is available for new subscribers as well. 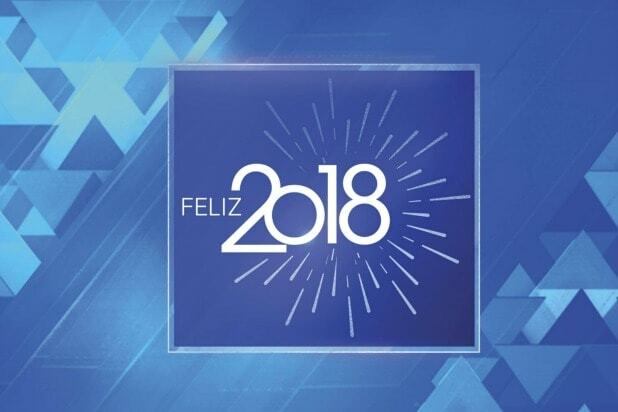 In addition, Univision will be streaming “¡Feliz 2018!” on Facebook. There are a ton of options for watching New Year’s 2018 festivities around the country tonight. These include ABC’s “New Year’s Rockin’ Eve with Ryan Seacrest,” Fox’s “New Year’s Eve with Steve Harvey” also from Times Square, “New Year’s Eve Live with Anderson Cooper and Andy Cohen” on CNN, and Fox News’ “All-American New Year.” And let’s not forget, of course, the standard Times Square ball drop stream, which will include performances by Andy Grammer and Lauren Alaina, which you can stream for free.